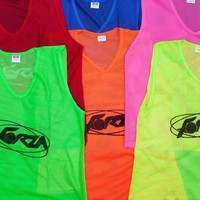 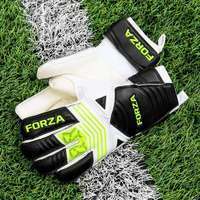 This FORZA Football Goal Range has exceptional quality running right through its veins. 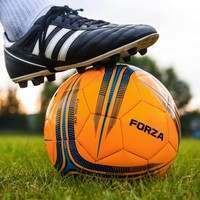 Providing the perfect football goals to help you unearth the next Lionel Messi, whether it’s in the garden, on the training pitch or in a competitive arena, these FORZA Football Goals are guaranteed to provide you with the quality you need. 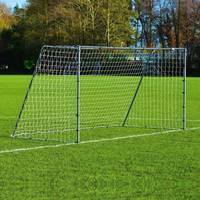 A range that includes PVC locking, PVC match, steel, aluminium and freestanding and socketed football goals, you’ll certainly develop the scoring habit with these in your set-up. 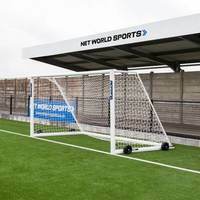 Perfect for youngsters starting out in the back garden, our FORZA Locking Range will turn home comforts into Wembley Stadium with the quality it possesses. 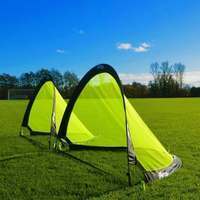 From the 8 x 4 through to the 12 x 6 FORZA Locking Football Goal, your young superstars can practice all year round thanks to the tough PVC construction which can be assembled in minutes thank to the exclusive FORZA Locking System. 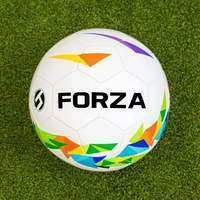 Similar to it’s garden sibling, the high-quality FORZA Match Football Goal can take it’s prowess into a junior matchday, giving players full value for their goals as they watch the ball ripple into that back of the net. 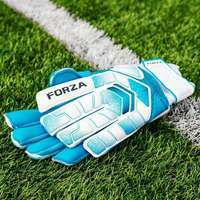 Our metal FORZA goals take the quality one step further. 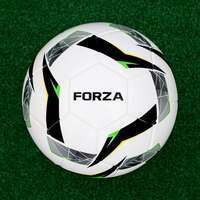 The FORZA Steel42 is one of the strongest football goals we produce. 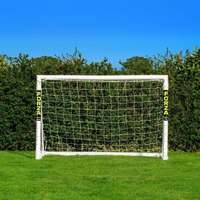 The galvanised steel frame combined with the heavy-duty twine net makes this goal an excellent addition for the garden or the training field as it can stay outside all season long. 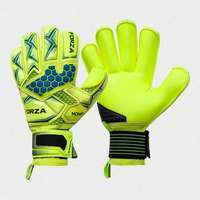 Like the steel42, the FORZA Alu60 also possesses excellent strength and durability. 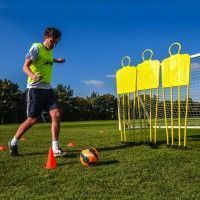 Manufactured from reinforced aluminium, the Alu60 is lighter than it’s steel counterpart, allowing you to moved it around any football pitch and any surface with exceptional ease. 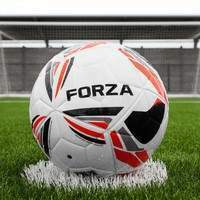 The pinnacle of this FORZA Football Goal Range, the Alu110 really is a world-class football goal. 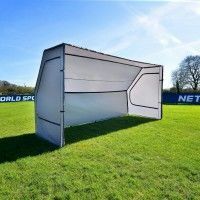 Available as a socketed or freestanding version, the Alu110 features a fully-welded aluminium construction, which is exceptionally resistant to rust, corrosion and adverse weather conditions. 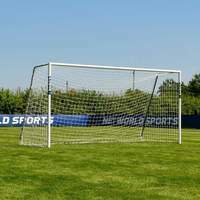 The freestanding football goal offers the option of adding heavy-duty, puncture proof tyres to the goal, allowing you to wheel the football goal wherever you like thanks to its highly-efficient lever system. 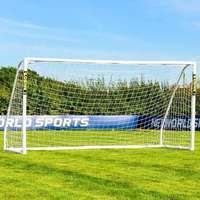 All of our FORZA Football Goals feature heavy-duty nets, which match the goals when it comes to weather-resistance and durability. 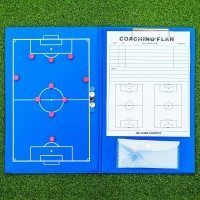 With such a wide variety of football goals on offer for ages 7 – 10, there’s certainly a top-quality football goal for all. 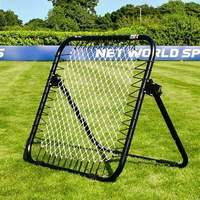 Whether you want to recreate your heroes best goals in the back garden or you want to create a Premier League experience on every matchday, this range of professional FORZA Football Goals from the UK’s number 1 supplier of football goals will certainly have you covered.